India SCAT2015 exhibition in November 5-7 held in Mumbai, India. 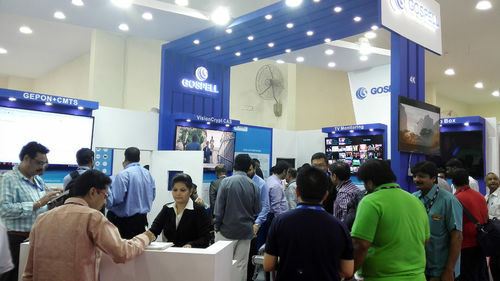 The exhibition is one of the most influential Indian cable television industry exhibitions. We show for the first time since 2007, has been nine straight to exhibitors and effect is remarkable. Gospell adhere to brand image promotion this year show gives priority to tone, cooperate with new products and new technology, for customers to provide professional guidance and direction of development，including CAS, the next generation of TV monitoring system，GEPON Two-way network reconstruction,4k Ultra-high resolution and Android+DVB and so on.Let visitors feel strong momentum of development and technical ability.